The Faces of Autism: Aiden W.
Meet Aiden W., a smart 8 year old boy who was diagnosed with autism when he was 5 years old. This is Aiden’s second year participating in Faces of Autism. Click HERE to read his story from last year. In the last year, Aiden has moved to a new house and changed therapy teams. Even though change is often very difficult to deal with, these changes have been very positive for Aiden. Aiden’s strength’s are his intelligence and his sense of humor. He loves learning about his favorite topic’s which are still school buses and fast food chains, but now is expanding that love into how to start a business. In fact, he enjoys making business plans. Aiden has discovered that he can order school bus parts online and knows all of the part numbers. Aiden still struggles with social skills and making friends. He has a very hard time with overwhelming situations and responding appropriately. Raising a child with autism comes with it’s own unique highlights and challenges. According to Aiden’s mom, one of the highlights of raising a child with autism for her is that they are so unique from their peers. Often times you find yourself not only learning but being inspired and in awe of them. Some challenges would be managing their unique care and busy therapy schedules, but it is worth it when they meet a goal or milestone. 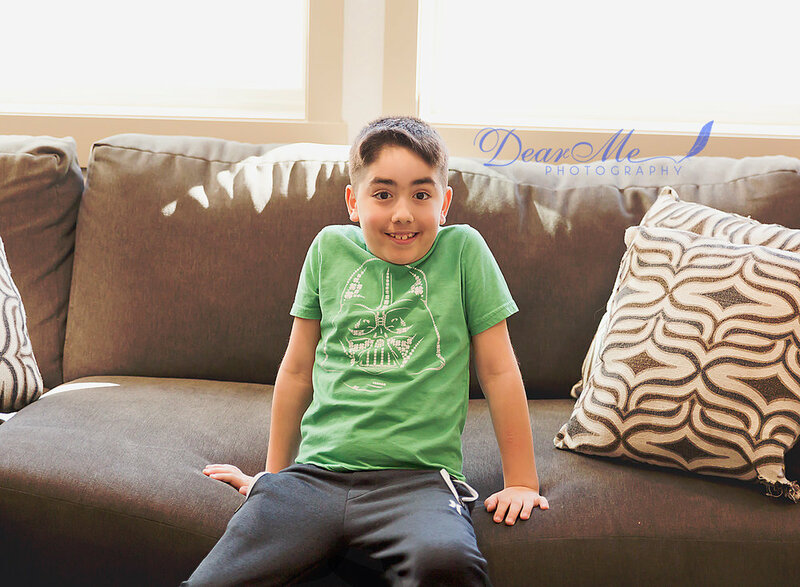 The advice Aiden’s mom would like to give to someone who has a newly diagnosed child is to not be afraid to ask for as much help as possible. As well as don’t be afraid to continue to ask questions even when it feels like no one is listening to you. You are your child’s best advocate. If you are in the general Bismarck/Mandan area and you have a child with autism, or suspect may have autism, I highly encourage you to join BisMan Autism Families group (just make sure to answer the entrance questions) on Facebook to help build your local village and get some support! If you are not the parent of someone with autism, then please follow their Community page to keep updated on news, events, and even some helpful tips to help families touched by autism.